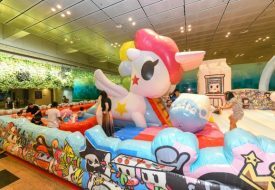 As Downtown East completes its five-year revamp project this year, the expansions and new lifestyle options are more reasons to make the trip to the East end of Singapore with your family and friends. The latest offering may just be the cutest reason yet. 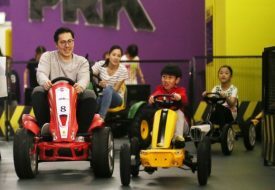 Downtown East’s E!Hub is now home to Tayo Station, a themed indoor playground based on the characters of the South Korean animated series, Tayo the Little Bus. Launched just in time for the September school holidays, Tayo Bus is all about fun and keeping young children ranging from 1 to 12 years old active on their feet. 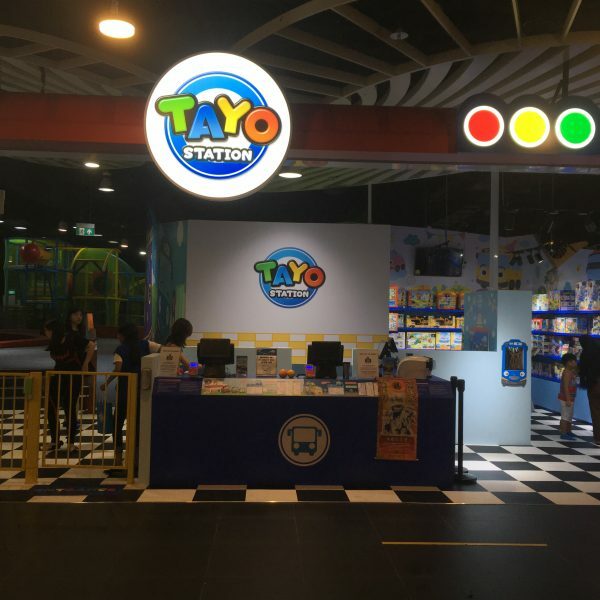 DreamUs Edutainment decided to launch Tayo Station following the success of Porroro Park Singapore, an earlier project of theirs based on another South Korean animated series by the same creators of Tayo. The first outside of South Korea, Tayo Station boasts a large 10,000-square-feet space adorned with cute and colourful visuals of Tayo and his little bus friends, Rogi, Lani and Gani, out in the city. Tayo Station is not your ordinary playground. 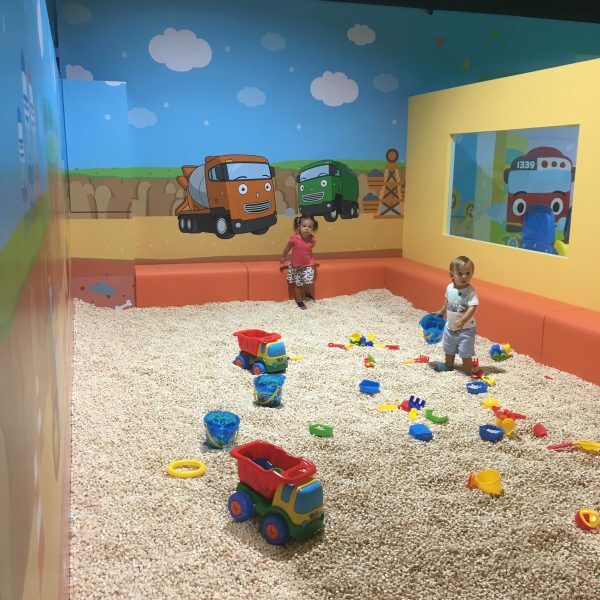 Each play zone is innovatively designed as edutainment areas and sensory play spaces, so that the little ones can learn in action and pick up new skills as they play. 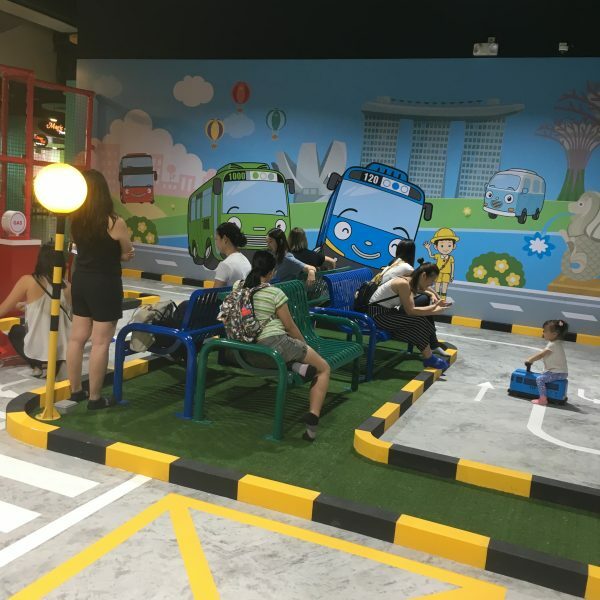 One such zone is Tayo’s Road Circuit, a spacious child-sized “street” scene where children can zip around in mini buses or cars and learn about real-world road safety. At Poco’s Hinoki Zone, kids can get the sand play experience without the health and safety risks. Instead of real sand, the space is filled with Hinoki wood cubes freshly imported from South Korea and widely known for their health and skin benefits. 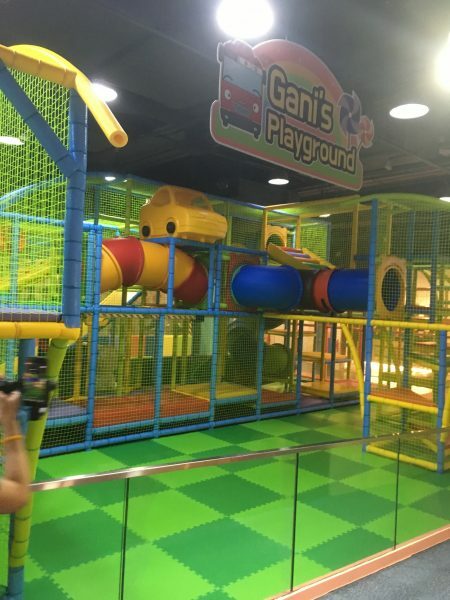 For more thrills, the three-storey Gani’s Playground stacks two long slides, a ball pit, and many physical obstacles, to develop the kids’ motor and agility skills through fun and safe challenges. A lively and adorable space like this would make a great party venue, wouldn’t it? Thankfully, the Tayo Station organisers already had that idea. Parents, your search for a venue to host your child’s next hit birthday party is over. 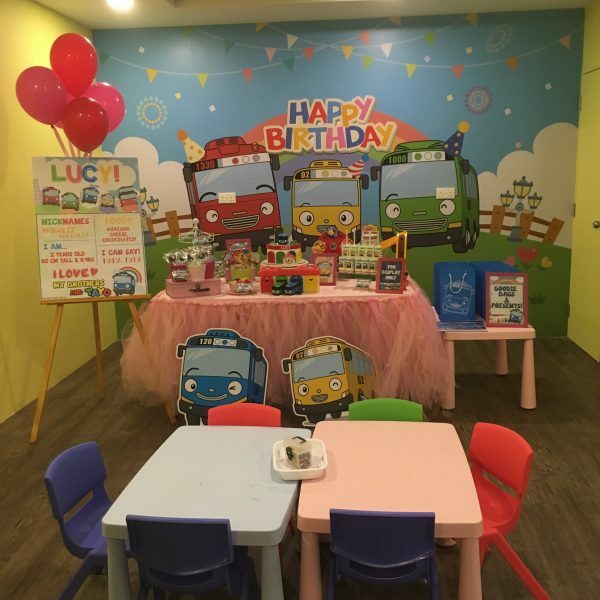 Not only does Tayo Station have two beautiful themed birthday party rooms, the biggest party package even includes Tayo-themed desserts and an appearance by Tayo! Everything is so thoughtfully designed, even the adults have a chill zone at Tayo Station. After dropping off the little ones to play, you can relax and chat with your friends at the tables and chairs near the entrance. If you need to work, set up your laptop! There’s a special Tayo Station wifi network and power outlets provided at the tables, so you can catch up on work knowing that the kids are safe, keeping active, and having fun. Admission rates vary for different age ranges, and between weekdays and weekends. 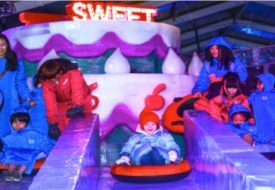 Save on admissions to both Tayo Station and Pororo Park, and score more perks with the yearly membership packages, more information here. Want to bring some of Tayo’s playful energy home? Stop by the merchandise store on your way out, where there’s a mega toy sale going on now until mid-September! More information about Tayo Station can be found here.